In less than five minutes, Cameroun court today, November 15th, 2018 has rejected the habeas corpus case brought by the NERA 10 Lawyers. Sisiku and team are back to SED, BaretaNews is told. Sisiku and team plus 47 others were abducted in Nigeria on January 5th, 2018 and illegally transferred to Cameroun. They have been in Cameroun custody since then. We must come to the reality that this issue is political and it will not require a legal procedure to free our leaders. Cameroun did not take them from Nigeria to free them just like that. Cameroun is keeping them as a leverage on the people of Ambazonia. It is Biya’s joker. Cameroun thought that their arrest would have slowed or stopped the revolution but it picked steam. Therefore, it will only take a political decision to free them and not some courts which are all under Biya’s spell and control. We must brace this up and know that the only thing which will free our leaders will only be when we make Ambazonia a contender and talk from the position of strength or when Mr. Biya gets up from his sleep and signs a decree, but he will only do such when he is certain that he has control over what is happening in Ambazonia. Let us accept these political realities. The Tumi’s AGC gave certain preconditions for their meeting to hold. We know how stubborn Biya is, the Tumi’s AGC will be the ones to burn him and finally show the international community what we have been saying: Biya does not want to negotiate and dialogue and so we must allow Biya falls in his own trap. Finally, we cannot make Ambazonia a contender if leadership in the diaspora continue to work in very big disperse rank. No matter what happens in Southern Cameroons, home front needs the diaspora and vice versa but home will be the best if Diaspora is the best. I am therefore calling again for a representative government, a government of national unity, a revolutionary council which brings our bests to pursue this challenging times. 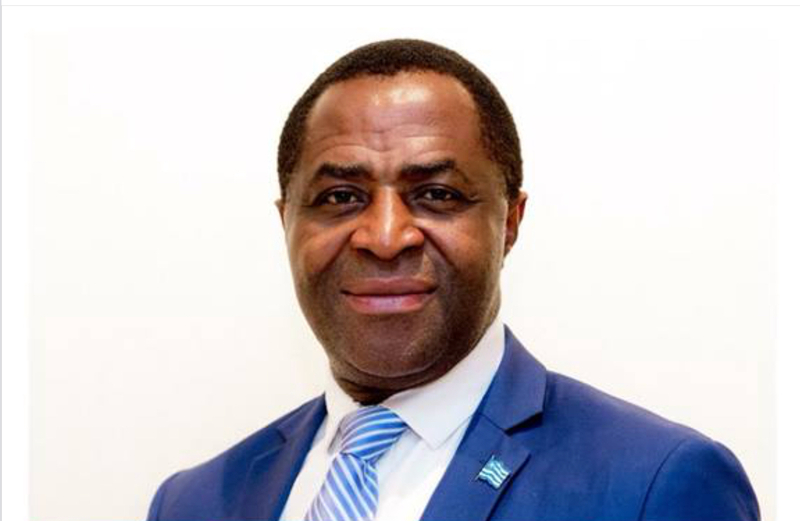 tapang Ivo, Lucas ASU and all those ghost profiles have taken upon themselves to slander and disrespect the IG on a daily basis on social media which has resulted in division and lack of progress,no one is above this revolution for Ambazonians independence,Dr Sako is risking his life and that of his family to represent the people,he speaks with calm like H E Ayuk which is welcoming to the international community not aggressive barking mad,rude, unproductive persons, done backwards Ambazonians and activists must stop insulting the IG on social media as they are helping lrc to justify that we are not capable of ruling a peaceful, stable country. We will never forget your sacrifice and that of your family. What people see and call Paul Biya today is an AIn (Artificial Intelligence) call it a Humanoid if you want, and created by France to deceive the world that there is still a Human being in the person of Paul Biya in Yaounde. This brings me to the possible reality of the persons (Sisiku Tabe and et tal) some people have claimed they have seen in Yaounde courts. I wonder, have any of the people claiming to have seen Sisiku and co actually spoken with them? Have they actually spoken in court like answering questions? Could these be some other AIs France has created in the person of these leaders to fool the world that they are still alive?